Writing instruction is crucially important in the development and education of young minds. Not only does writing teach and allow students to express themselves, it gives them a way to demonstrate what they know. But how can teachers help students improve their writing? By providing a positive atmosphere for writing and by providing opportunities for students to write. In addition to cross-curricular and grade level writing, I think it is equally as important to use predetermined writing prompts. 1. 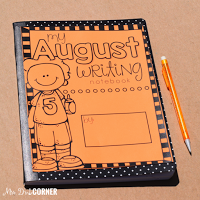 Having a class writing binder for students to piggyback write during centers. 2. 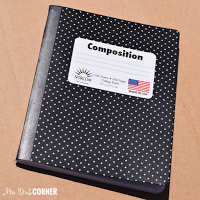 Each student has their own individual writing notebook. The nice thing is, you can utilize both approaches at the same time! When it comes to grading student writing, the class binder definitely helps. One large binder versus 20+ individual notebooks makes a big difference when you’re taking it home (but I know none of us ever do THAT!). Writing prompt cards are a great way to spice up your writing centers and your students’ writing. Not only can the cards stand alone as their own center, but they’re also a great “I finished my work, now what! ?” activity. 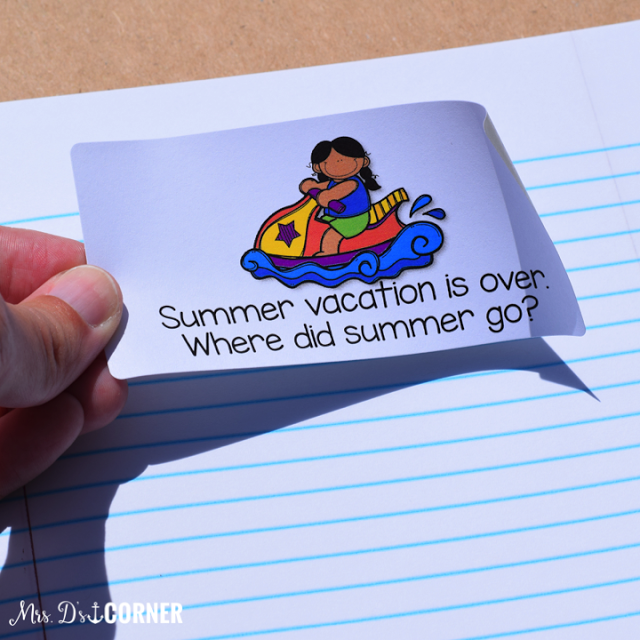 Simply print the cards, laminate, and cut them out. Hole punch in the top left corner and insert a binder ring to keep them all together. In this age of technology, many teachers now have interactive boards… and the rest of us at least have a projector (raises hand). 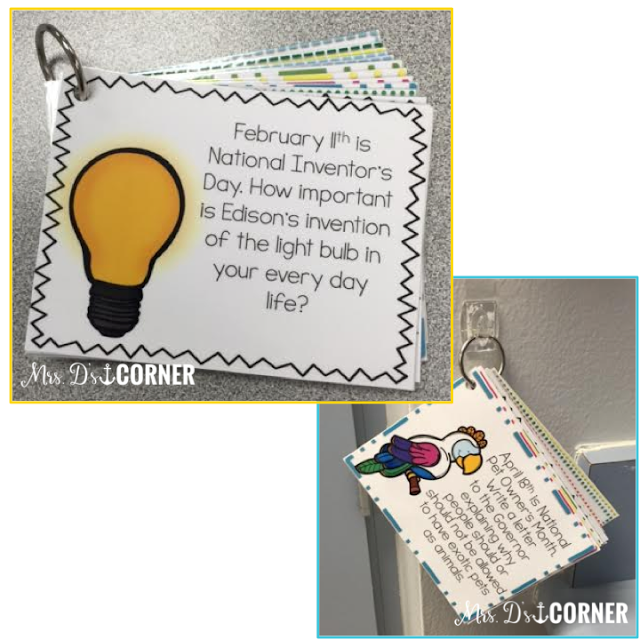 And here’s another great way to use your boards and projectors to empower your instruction. 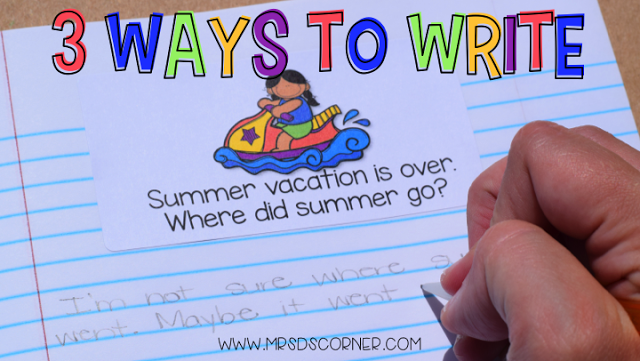 While mini lessons can be an effective practice in the classroom with writing instruction, writing as a class has great benefits too. Projecting illustrated writing prompts on the white board or your interactive board during whole group writing instruction allows students to either work independently or collaboratively. For example, collaboratively, your class could compose a a 6- strand text message conversation with someone, as the teacher facilitates higher level thinking. 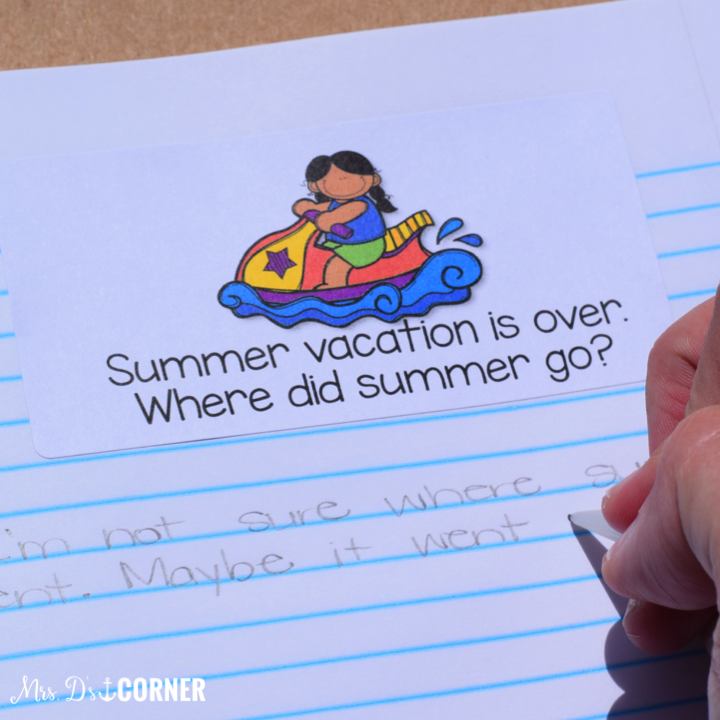 Independently, your students could individually compose a text message conversation with their best friends about their summer vacations. One fun way I have incorporated this in my classroom is with Post its. Because there are so many different sizes of sticky notes these days, teachers can literally use them for anything. 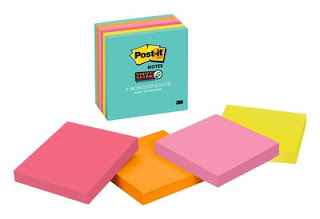 Give each student a sticky note and have them write a response to the writing prompt on it. When they have finished responding, students can stick them to the board. 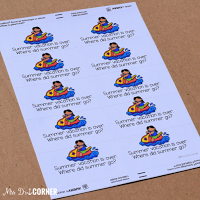 Using writing prompt stickers in the classroom is a really fun way to switch up the rote and mundane practices of writing. I mean, let’s be real… everyone loves stickers. You’ll need Avery Label 8163*. You can print the stickers with one prompt for the whole page (10 per page) or singular prompts (10 different prompts per page). 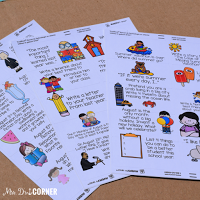 Give each student one writing prompt sticker and places it in his or her writing notebook. I have students place their new sticker on the top of the next page. This gives them plenty of writing space to answer and show their knowledge about the prompt. You could easily have students place the next sticker at the end of the last prompt to save paper too. As students are writing in their notebooks, you should be walking around to provide feedback on your students’ writing. If you utilize rubric grading for writing, you can refer to this as you provide feedback to your students. How do you incorporate writing instruction in your classroom? This is awesome! I love this idea!